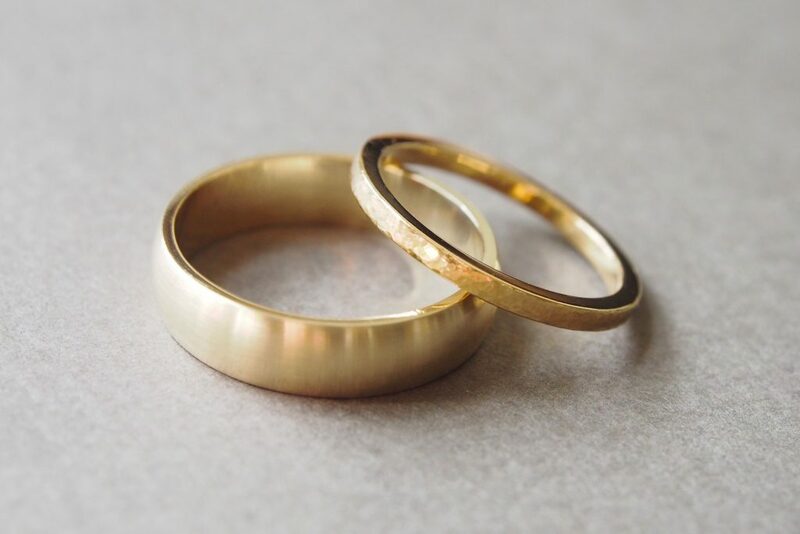 I’ve been asked before to make wedding bands out of family heirlooms, melted down and transformed in to something new, but I was recently commissioned to make one with an unusual twist! 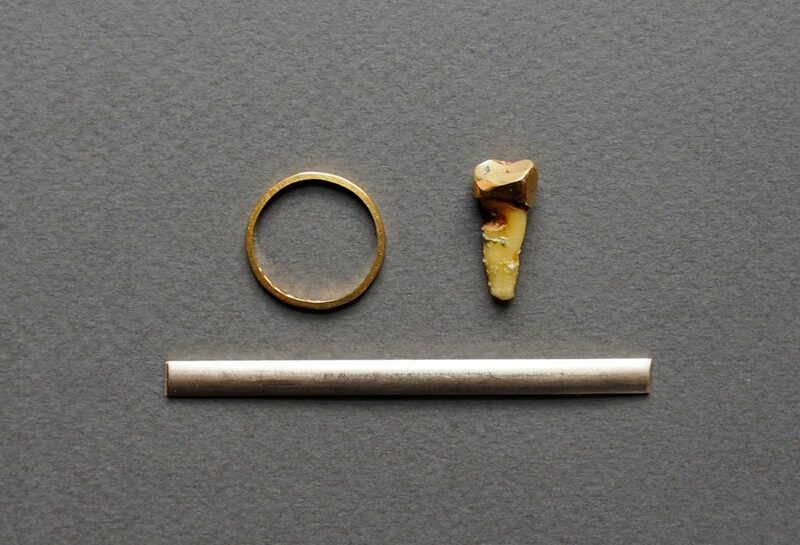 The image below shows both tooth and ring, along with the new bullion for Rob’s ring. The first thing to do was to separate the gold from the tooth. As it was likely that it was glued on with dental cement, I thought it better to burn away the organic material rather that trying to cut or prise it off. I heated the tooth repeatedly with a blow torch (outdoors and wearing a respirator and goggles – it smelled awful!) and eventually the resulting charcoal crumbled and could be scraped out of the gold shell. I noted that it was extremely hight carat gold – probably between 22 – 24ct – as it was a brilliant yellow and very soft. This would make sense for its use as a dental crown, and explained the flattened nature of the top surface, worn away with time. 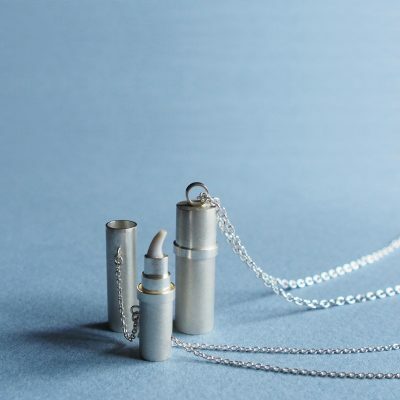 Once I had cleaned away the traces of dental cement using a pendant drill and tiny ball burrs (fairly similar to actual dentistry equipment!) it was time to melt the metal. 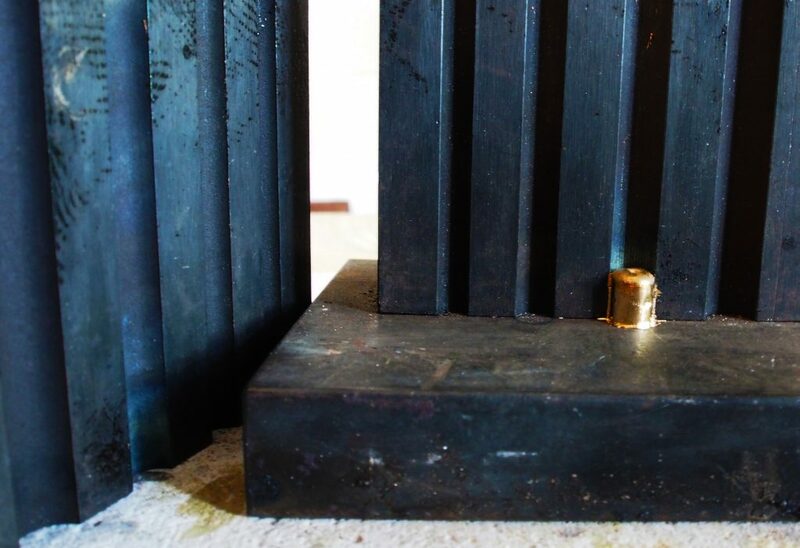 Once the metal had cooled I used my brand new rolling mill to transform the gold in to a workable form. 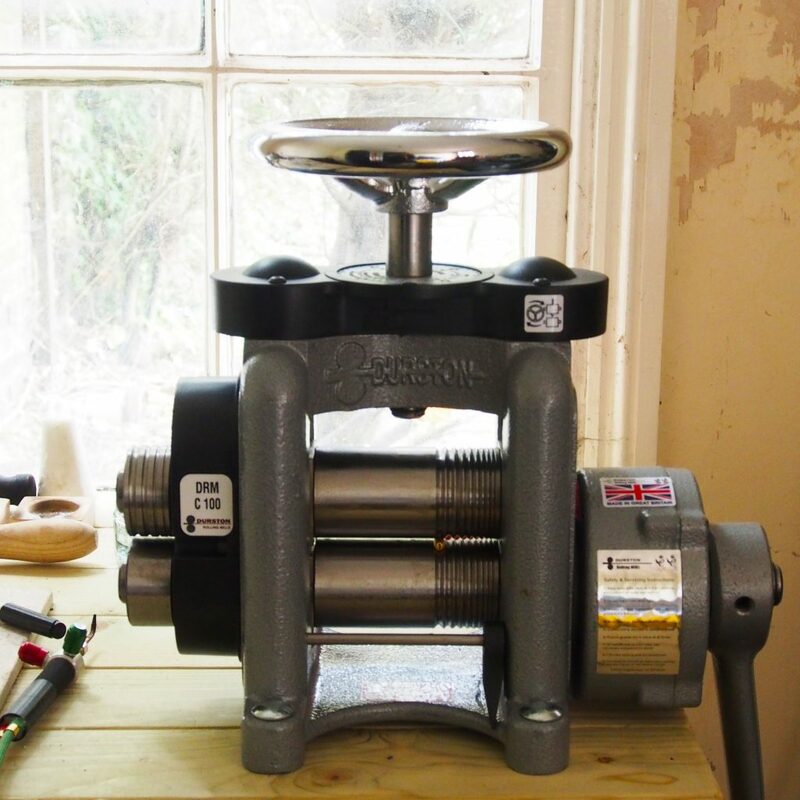 It’s a large piece of machinery which looks a bit like an industrial pasta maker, and works pretty similarly too! 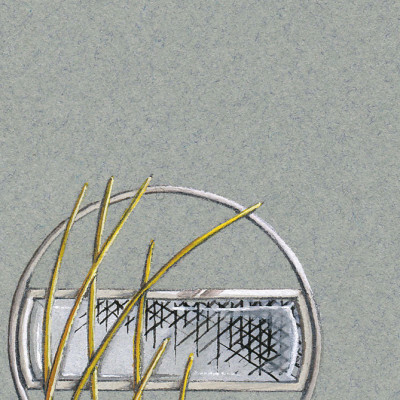 Metal is pushed through the rollers to stretch or elongate sheet or wire. I like to put a mark on the end of the rod which allows me to keep rotating the direction of the milling evenly, preventing distortion from machine bias. 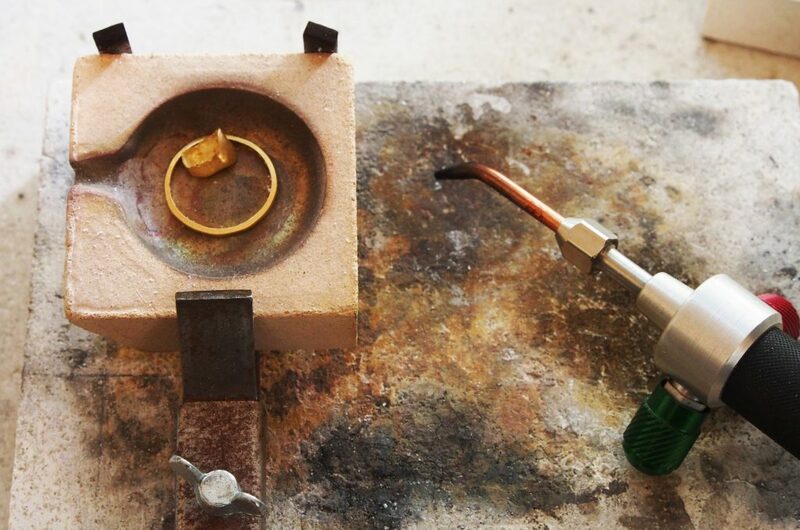 The gold also needed to be regularly annealed during this process to keep it soft, as the milling process work-hardens metal. 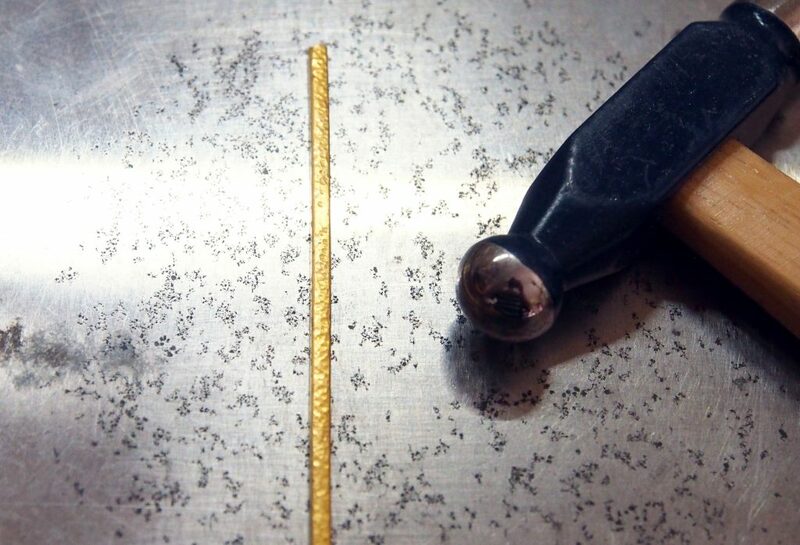 After much patient milling and heating, the gold arrived at its final form: a length of 1.8mm square profile wire, just long enough to make into a size K1/2 ring. …and after some bending and shaping with a mandrel and mallet followed by a quick polish, the ring was finished. Here it is along side Rob’s. I think the pair compliment each other very well – as do their owners, to whom congratulations are due!